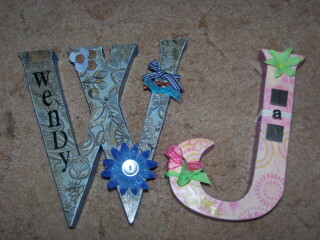 Heres a pic of a couple of the letters I did for teachers. Just to give you an idea. 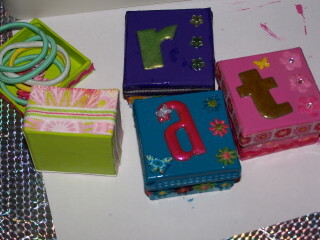 Jayde and I have altered these little paper mache boxes too. We had alot of fun doing these. We have put some hair ties etc in them for Jayde to give as gifts to her friends. Thanks Fleur....I love the way the turned out.